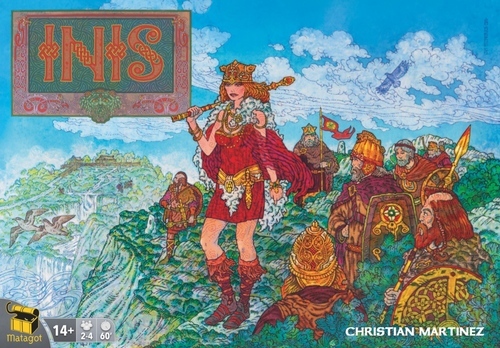 Immerse yourself in Celtic legends in a game of Inis. You play the role of a Celtic chieftain who has just arrived in a new land. 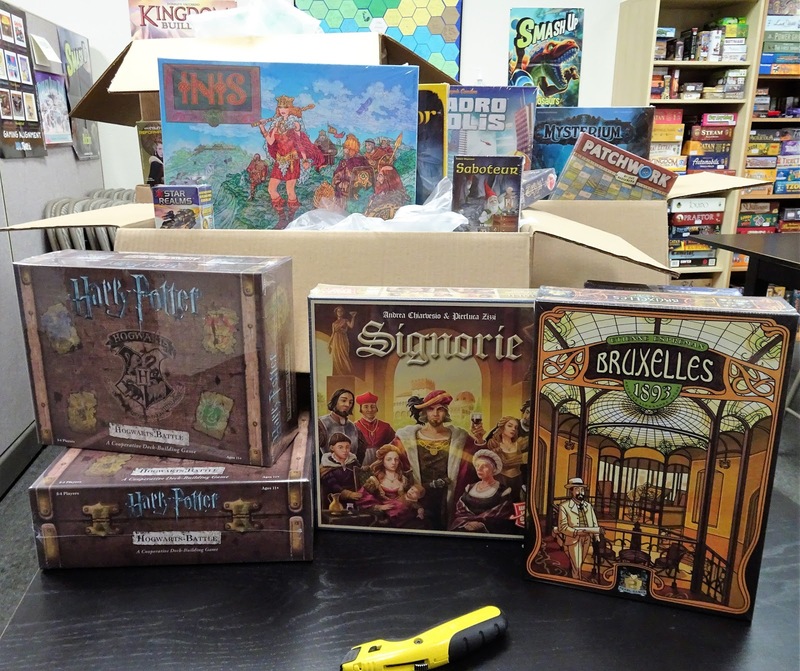 You will need to construct sanctuaries for spiritual enlightenment, erect citadels to protect peaceful clans, and indulge your wanderlust by exploring the surrounding territories. There are 3 condition to victory and you must achieve 1 more than your opponents to win making for a very competitive endgame. 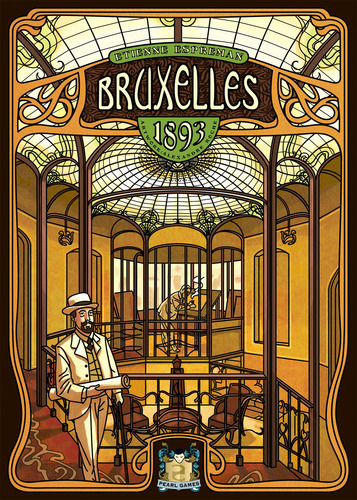 Bruxelles 1893 is a 2-5 player strategy game where players are one of the celebrated architects who made Art Nouveau famous in the Belgian capital of Brussels. Through a combination of auctions and worker placement, players can construct Art Nouveau buildings and create the works of art that decorate beautiful homes. 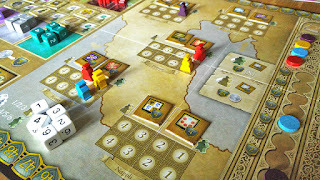 Players can develop their reputation as an architect, increase their influence at the Royal Palace or the City Hall, and even benefit from public figures that are encountered during a theater outing. 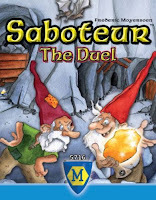 New in from Mayfair Games is Saboteur: The Duel, a 1 to 2-player version of the classic card game. 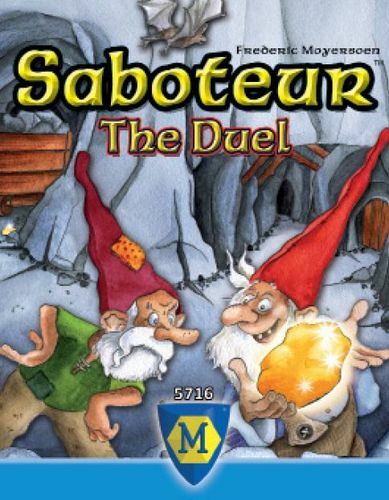 This is sure to please fans of the original, as well as those seeking a quick, humorous two player duel. And if you can’t get your hands on a second dwarf, you can always try your luck at the solo game. When playing alone, you want to collect as much gold as possible by digging new tunnels in the mine; when playing with an opponent, you'll just want to collect more than that player, but naturally your opponent will try to block your progression by all means. 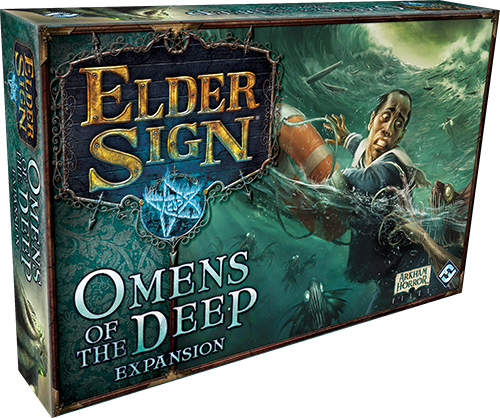 Omens Of The Deep is the latest expansion to the base game, Elder Sign. 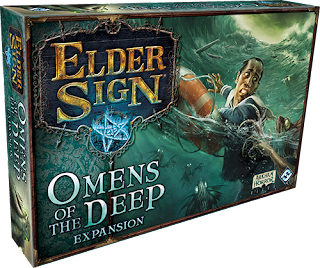 In this expansion you will sail the Pacific Ocean and uncover the ancient mysteries that lie with its depths while trying to evade and army of Deep Ones who are intent on destroying the ship. You and your fellow investigators must find the pieces of a broken amulet that will lead you to the corpse-city of R'lyeh and the terrors it holds. New missions, items, spells, skills, and and entourage of useful new allies await you. 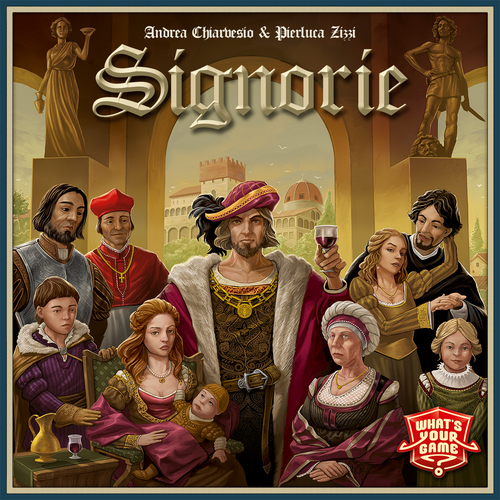 In Signorie, you take on the role of a Signore, the Lord of a renowned Italian during the Renaissance. The goal is to strengthen your influence and to build a powerful dynasty by making strategic alliances. Twenty dice in 5 colors are rolled at the beginning of each round. On their turn, a player will choose one of the die and place it on their player board performing the corresponding action. The color of the die determines the possible actions, and the number on the die is a discount on the cost of the action. The dice mechanism is easy and innovative and gives players simple, but challenging choices. 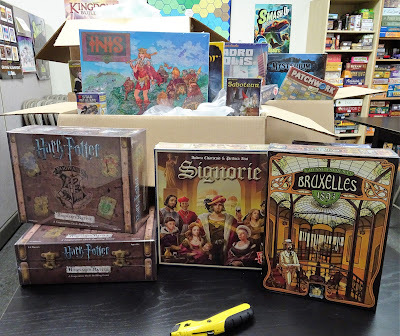 Money is always tight, so there is a temptation to choose a high valued dice, but that needs to be balanced with obtaining the reward.